Back home in Texas, celebrating and discussing Día de los Muertos is as second nature as eating breakfast tacos. But, when we moved to the East Coast a lot of that changed (well, not the part about eating breakfast tacos...that will never go away). I had to find new ways to talk to my students about a holiday that wasn't culturally relative to them. This post contains affiliate links for your shopping convenience. I earn a small commission each time someone makes a purchase through one of my links. 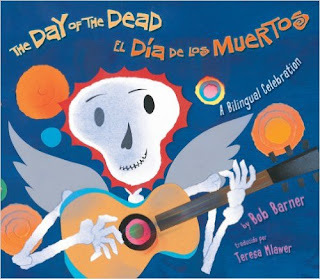 One way I talked about Dia de los Muertos was through books. It's a great counting book and sneaky story about a skeleton who comes to take a woman to the afterlife. You would need to have some background conversations about death for students to comprehend why the trick was successful. 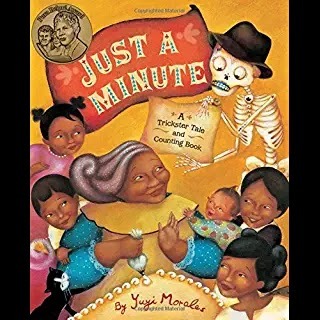 This book would be a great opener for a class discussion Dia de los Muertos. This is another great book! I love this book because it is bilingual! It is full of beautifully illustrated pictures and helps younger children understand the important aspects of Día de los Muertos. Once we've read a few stories, I try to have my students engage in activities that will spark conversations. 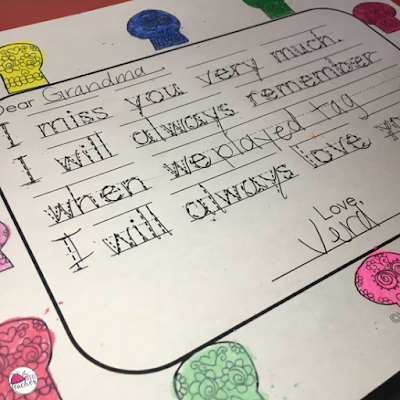 We talk about how we feel when a family member or pet has passed away. We make a list of things we did or happy memories we have had with that person. Then we talk about how it feels to remember the happy memories of someone who has passed and how those memories are important. 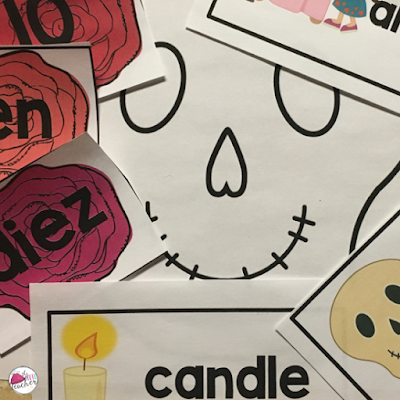 During our learning time about the holiday, I post vocabulary cards around the room in both English and Spanish. We also use the cards in a game of memory. 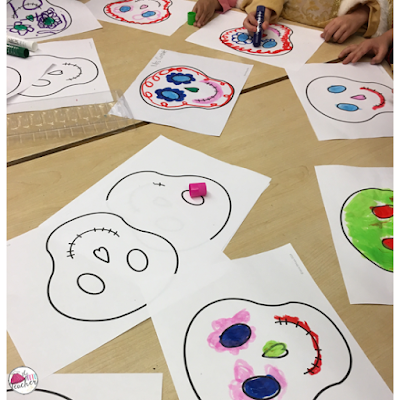 At the art center, I leave a blank sugar skull template and encourage students to design their own sugar skulls. We used Kwik Stix (if you don't know about Kwik Stix, read my blog post here) to make beautifully vivid sugar skulls. As my students were designing their skulls, they were so engaged and excited. 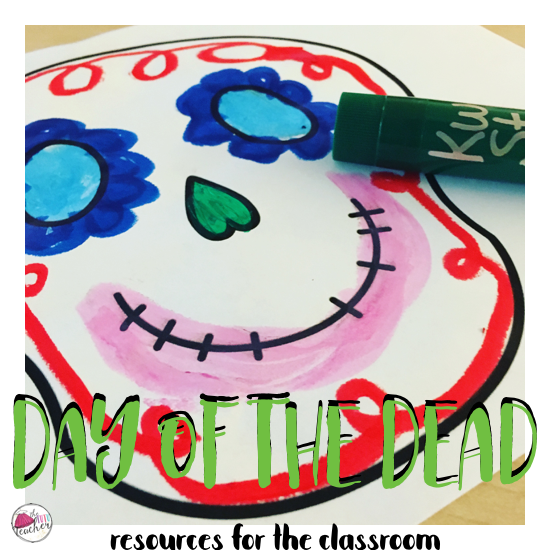 All of these resources can be found in my Día de los Muertos packet on TpT. 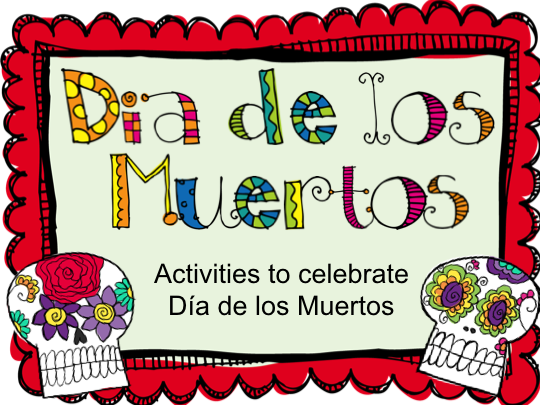 How do you celebrate Día de los Muertos? Great post! My students and I love this holiday! I will have to save this link for next year!